WARE in Ware, MA operated on the eastern fringe of the Springfield, MA radio market. Bordering on the Worcester market, it was a station known for local news and for programing oldies music. Employing two full time news people plus a network of stringers, the station was able to deliver an incredible amount of local news with actualities. AM radio’s decline in the late 80’s resulted in some cutbacks, but the station was able to hold on to two newspeople on weekdays. In the mid 90’s the station drifted into country music then back to oldies. WARE AM-1250, One of two radio stations in the nation whose call letters are their city of license. The station has relocated their studios from Ware to Palmer, MA. In its heyday the station was known for local news and oldies. It continues with the oldies format to this day. It also continues to broadcast high school football along with boys and girls basketball. By the early to mid-90’s WARE was far from the station’s heyday. With the exception of morning drive the station was airing satellite delivered oldies music. Yet even then the station worked to deliver live local news coverage from 5am-7pm. From live coverage of news events literally from Main Street, to election night, to audience participation talk from the high school auditorium, WARE actively worked to stay connected to the local audience. 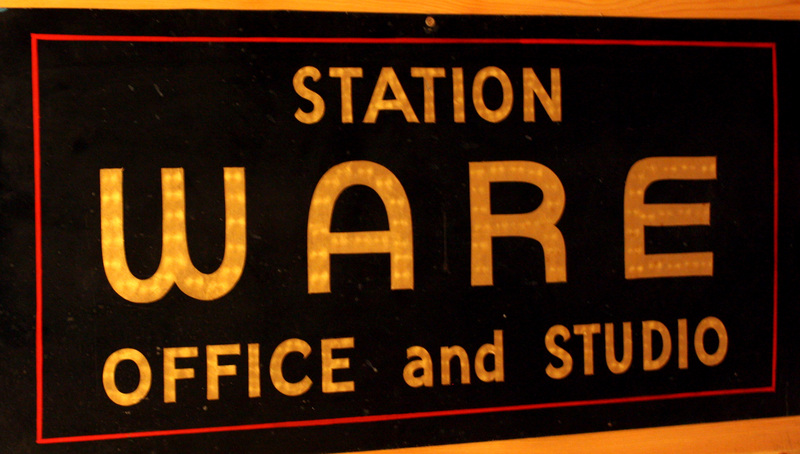 The station’s heritage is deep in community particpation. For years the station aired a noon hour talk show called Sound Off which was know for lively exchanges between the host and callers. The ad on the left was an attempt to inject more locality into the satellite music format. 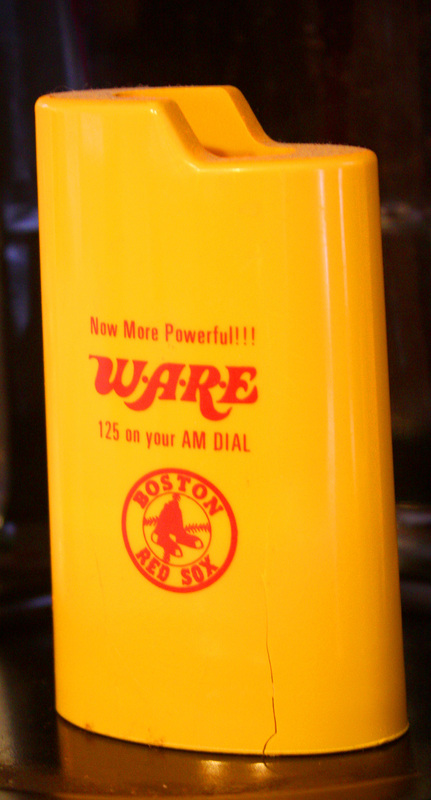 WARE was a sports powerhouse through the early 1990’s when it aired the Boston Red Sox, Boston Bruins and New England Patriots. It also carried a full schedule of locally originated high school sports broadcasts. The station’s location, between Springfield and Worcester, MA, gave it a niche which it filled by connecting with the local audience through it’s sports programing. To the left is a cigarette lighter holder which the station gave away to promote Red Sox baseball.